Over the years I have come along quite a few good websites and blogs around the field of system engineering, safety, security and risk management. Often they are operated by passionate experts in their respecive field. Instead of keeping them just in my personal bookmark list, I decided to make them available to you. I have tried to make a rough categorization – which is not always possible. Please note that the selection below does not imply any kind of ranking, actuality or quality proof. It is just based on my personal reading experience and impression. So feel free to check the pages yourself. Our partner CriticalSoftware has created an interesting blog on systems, engineering and technology of the 20 years since 1998, celebrating its 20th anniversary. 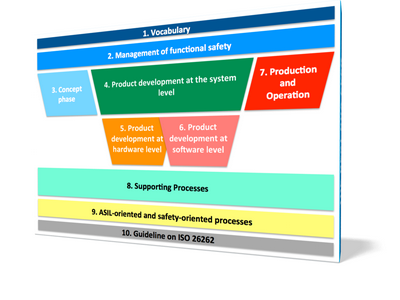 Aditya Raj Nayak (India) has focussed his blog “Embedded In Embedded” on Embedded C-software development and functional safety according the automotive standard ISO 26262. In a very detailed and pragmatic way he writes about typical question of automotive software development and the underlying safety analyses like Dependenet Failure Analysis (DFA) and more. In this example, 2 different software functionalities (SWF1, SWF2) are using same Firmware functionality (FWF1) algorithms to get the battery voltage and power source voltage for ECU2 from a common functionality (FWF1). Dependent failure analysis aims at identifying failures that may hamper the required independence or freedom from interference between given elements (hardware/ software/ firmware) which may ultimately lead to violation of safety requirement or safety goal.